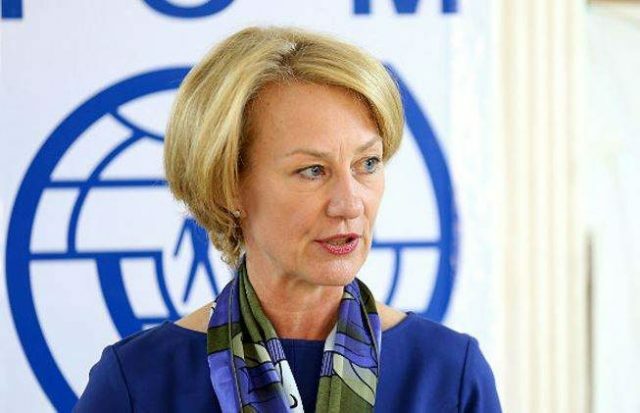 ISLAMABAD: Acting United States (US) Department of State South and Central Asian Affairs Assistant Secretary Ambassador Alice Wells said that Pakistan and the US are in a position to play a meaningful role in achieving the goal of finding a peaceful resolution to the crisis in Afghanistan, a press release issued by the US embassy said. Wells was on an official visit of Pakistan from March 28 to April 3. She had travelled to Islamabad and Karachi to hold meetings with Foreign Secretary Tehmina Janjua and National Security Adviser Lieutenant General (r) Nasser Khan Janjua and the army chief. “During her visit, Ambassador Wells discussed the US South Asian strategy and Pakistan’s stated commitment to eliminate all terrorist groups present within its borders, as well as our shared interest in building economic and commercial ties that could benefit both nations. In the aftermath of the Tashkent conference on Afghanistan, Ambassador Wells noted the growing international consensus on the way forward to achieving peace in Afghanistan and the meaningful role that Pakistan, in partnership with the US, could play in achieving a peaceful resolution in Afghanistan,” the statement read. In Karachi, Wells discussed the ongoing efforts by the US to build strong economic and people-to-people ties with the people of the port city in general and Sindh in particular. During her visit, Wells also met Minister of Interior Ahsan Iqbal, the States and Frontier Regions Division (SAFRON) Minister Abdul Qadir Baloch, Advisor to the Prime Minister on Finance, Revenue and Economic Affairs Miftah Ismail, and United Nations (UN) High Commissioner for Refugees Country Representative Ruven Menikdiwela. Having served as a political officer at the US Embassy in Islamabad, Wells previously visited Pakistan in January this year and was accompanied by senior officials from the US National Security Council and Ambassador David Hale. During her previous visit too, Wells stressed on how critical Pakistan’s support was to the success of her country’s strategy in Afghanistan.